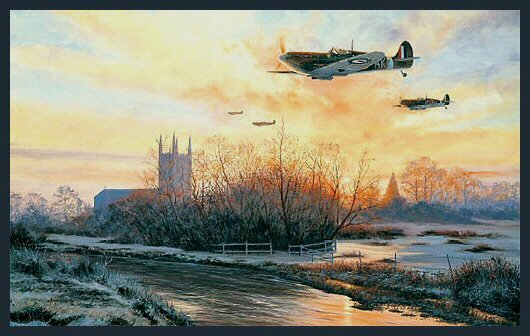 Dawn's First Light shows Wing Commander John A. Kent leading Spitfire Vbs of the Polish Wing on an early morning patrol in 1941. During World War II a number of RAF Squadrons were manned by expatriates from occupied countries. Polish pilots were prominent amongst these, making up several squadrons and fighting with distinction throughout the War.